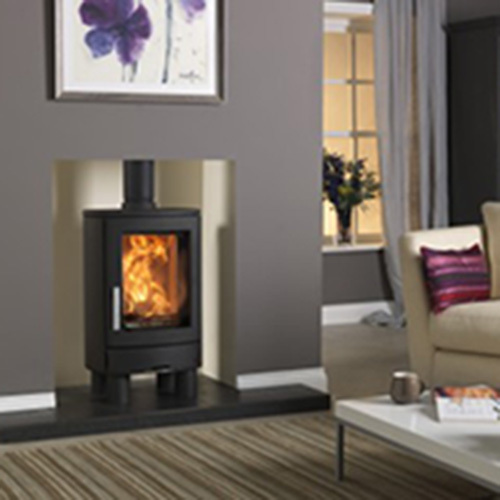 The ACR Neo 1F is a very flexible stove and can fit into any room you want it too. It can be installed into a fireplace recess or can be left to be free standing, both creating totally different looks in your living space. You also have no limit on what you can burn in this stove as it allows you to burn wood or any smokeless fuels. With it being a tall stove, you have a fabulous viewing window that can entertain you for hours. You can also enjoy an unspoiled view with the help of the modern technology that is the Airwash system. This keeps the viewing glass clean and clear so you can continue to enjoy the view. If you like the look of this stove but think you can't have because you live in a smoke controlled area then think again because this stove is DEFRA approved. 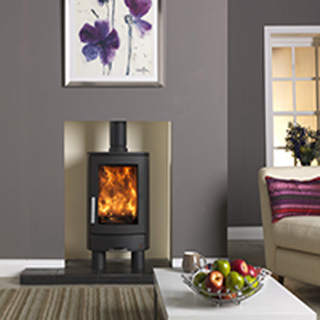 So no matter where you live or what style you home is then this stove is sure to create a fantastic centre piece.